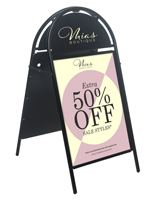 These Metal A-Boards are a Valuable Asset for Restaurants and Retail Stores! These Displays can Hold up in Severer Weather! 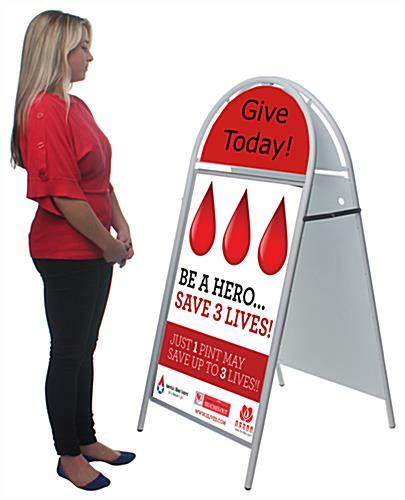 These Metal A-Boards are great for Outdoor Signage! 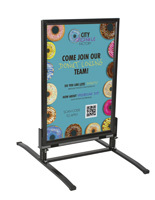 Magnetic lens protects 24" x 36" posters from moisture and is easy to peel back to change signage. Blank header for vinyl text and logos. Frame folds flat for storage and transportation. Heavy-duty steel construction has an attractive white semi-gloss finish, an attractive alternative to black. 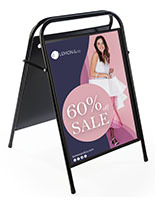 These metal a-boards are an affordable display option. These quality pavement signs are constructed from steel and have a powder coated finish making them even more durable. The standout feature of these metal a-boards is the magnetic lenses. These lenses allow for quick signage change and protect prints from moisture and other elements. 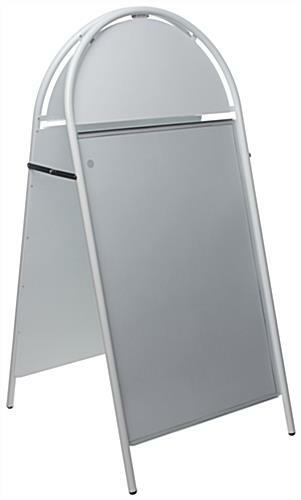 These white metal a-boards are double-sided and can fit posters up to 24" x 36". 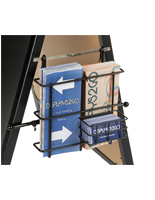 These sign stands fold up for storage and portability. These metal a-boards are also effective for the real estate industry and can be used at open houses. 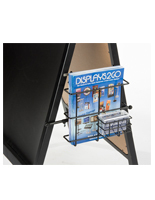 This display is an affordable option for restaurants. Make custom fitting signs or get a vinyl poster printed at a local graphics shop for these metal a-boards. Draw in customers from the sidewalk with these displays. 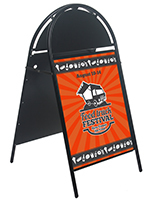 Use these metal a-boards to post menus, specials, sales and much more. 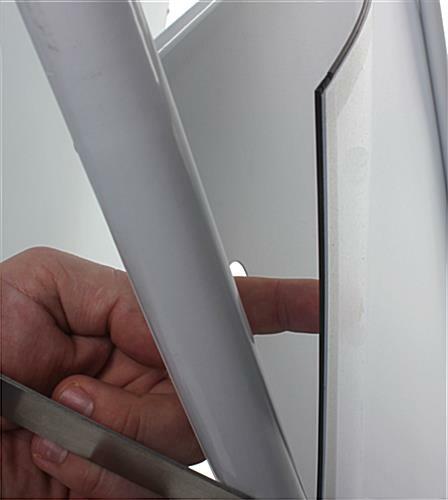 With the magnetic lenses it is simple to change signage in mere seconds. 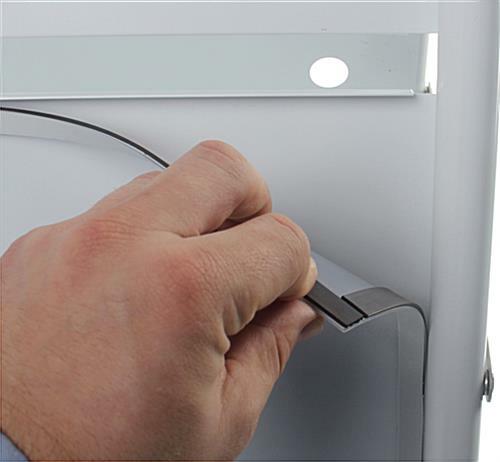 To lift up the magnetic lenses on these metal a-boards simply push your finger through the hole on the back of the board to unseal the magnetic overlay. Add new signage by simply placing a poster in and resealing the magnets. 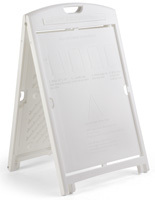 These metal a-boards are a phenomenal accessory for restaurants and retail store. 27.5" x 56.0" x 34.0"